This article is mostly intended for the inexperienced chess players, who decided to play competitive chess and looking for some hints. However, even an “occasional” tournament chess player may find some of the ideas discussed and things advised here useful for their chess carriers. A very first thing a player needs to understand before he goes to a chess tournament that it’s a huge challenge, both mentally and physically. A player who only played a semi-competitive game of chess with his friends, no clock and no real pressure don’t know what he is about to face in a real tournament. He may not be prepared to play 12 hours of over the board chess in one day. I highly doubt, that there are player who play, literally, half a day of friendly chess. But, in amateur chess, playing 12 hours a day is very common; it’s just 3 rounds with 2 hours time control. You cannot take a break if you are tired; you need to finish the game. During these 12 hours you will definitely be surprised by your opponents. You will, most likely, face openings you never saw before. You will need to solve problems all day, throughout all your games. You will get into difficult positions and will need to pull yourself out, but not in the comfort of your own home, in front of the computer or enjoying a cup of coffee with your friend, but in unfamiliar and not-so-comfortable environment. Why am I telling you all that? Well, if you think I want to frighten you, you’re wrong. I believe that the sooner you realize what’s waiting for you out there, the better for you. At least, you will come somewhat mentally prepared and the tournament will not be a psychological shock, after which you will just hate chess and never play that game again. We definitely need to avoid that. Okay, now it is time for some “practical” recommendations. After you read my introduction, you probably understood that a chess tournament is something difficult and scary. How to make it less so and to maximize your results at the same time? Read on. Of course, every chess player wants to come to the tournament fully ready and to avoid all kind of nasty surprises carefully prepared by his opponents. Unfortunately, it is impossible, since there is no way to know what they are going to play against you. However, it is possible to minimize their surprising possibilities by doing some homework before appearing at the chess tournament. You need to know the basic opening moves and a simple theory behind it. By theory, I don’t mean that you need to work all day and all night memorizing what to do after move 15 in Botvinik Variation. If you just beginning your chess carrier it is absolutely unnecessary. All you really need to do is to have a basic reply for the most common first moves as Black and to the second moves as White. When you are playing White you can choose what line to play: 1.d4, 1.e4, 1.Nf3 are the most common first moves. You can choose what line you’re going to play and learn basic ideas behind the opening. Then you need to view and analyze multiple Master’s games and just practice these lines against a partner, online or against a computer. You need to do the same for you black repertoire. You need to have a reply against these basic moves: 1.d4, 1.e4, 1.Nf3. Opening preparation is a process. You cannot do it all at once. After the tournament you should consult an opening book or database and to compare where you deviated. After each tournament your opening tree will grow and opening preparation will improve. You may also want to check out the reading about building an opening repertoire. Remember an old saying “practice makes perfect”? You should play some practice games on the opening lines you have picked in previous steps. 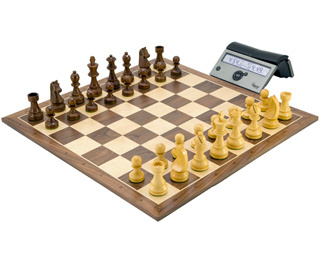 Perfectly, you should play in conditions which are as close to the real tournament as possible: long time control, recording moves, obeying “touch move”, and using chess clock. You should pick an opponent which is somewhat stronger than you, but not 500 point higher (if you know your estimate rating, of course). 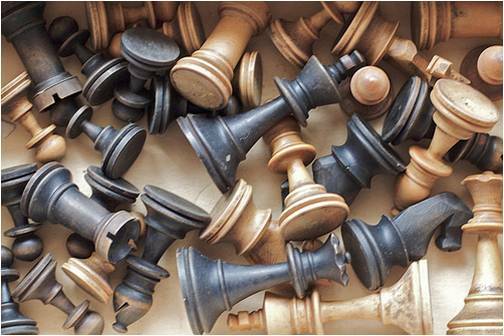 Studying some simple endgames and checkmates may also benefit you a lot. You would feel silly if after a hard fought game you let your opponent slip with a draw just because you don’t know how to checkmate with King and Rook or Two Bishops. 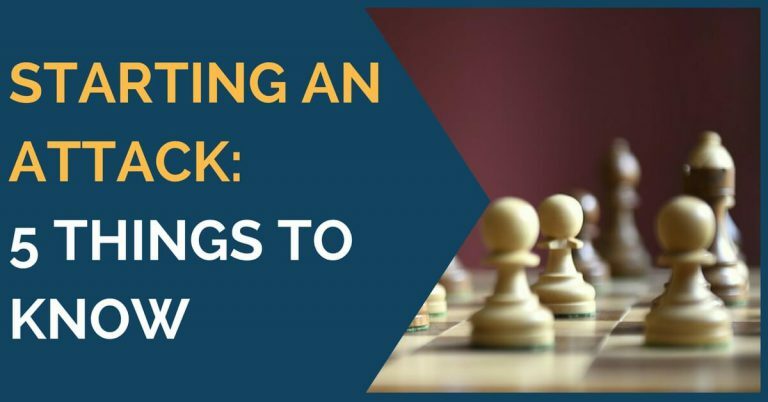 Do some tactics exercise which will sharpen you tactical ability and greatly improve your chess strength. However, after solving dozens of puzzles with queen and rook sacrifices don’t sacrifice these things right away, they may turn out to be useful later in the game. Seriously, if you see a good sacrifice, check multiple times to see if it’s really a good sacrifice. Don’t be like players who sacrifice 2 pieces for an attack which doesn’t lead to mate and resign two moves later. If you’re not sure about a sacrifice don’t play it! Sleep is a key factor for success. Since I already told you that a chess tournament is a huge task for the chess player, both your mind and your body need to be completely rested. Adequate amount of sleep (meaning the more, the better > 8 hrs) is necessary for you to feel refreshed and to be able to play your best chess. Watching too much TV, using a computer, reading magazines, doing some severe mental work (like taking an IQ test) or playing chess the night before competition is not recommended and may negatively affect your results. The best option is to relax and maybe to spend some time outside. I gave you a brief summary and what I believe is useful to know before you appear on a chess tournament. Stay calm and focused. Play your chess. Good luck! I’m going to play my first official game ever on November 7th, aged 51 😡 . Thanks for this article. Thanks for your tips, I am having a tournament tomorrow. This is my 3rd big tournament, but i am reading your article for the first time. Nice article. Really helpful. I wonder some players believe that Drinking Coffee during Live Games is a Form of Cheating. Is that so? If you innocently violate any of these and your opponent calls you on it instead of giving you 1 warning and you face ANY sanction, DO NOT shake hands with the blatant jerk who deserves no respect. 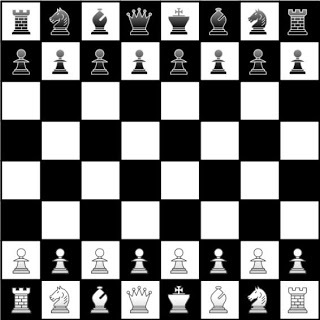 You need to shift your pieces 90 degrees to the right remember that the far right and first place of any chess board is WHITE!!!!!!!!!!!!!!! I did not notice that when I used the picture:) Obviously a1 supposed to be dark. Good luck, first game is always stressful, just believe in yourself and you can play well, it’s not any different from practice games. Thanks, I was trying to reflect the reality of amateur chess as close as I could. Good point, the audience can make a difference, especially when every second counts.